Journal editors and academy presidents are increasingly calling on researchers to evaluate the substantive, as opposed to the statistical, significance of their results. To measure the extent to which these calls have been heeded, I aggregated the meta-analytically derived effect size estimates obtained from 965 individual samples. 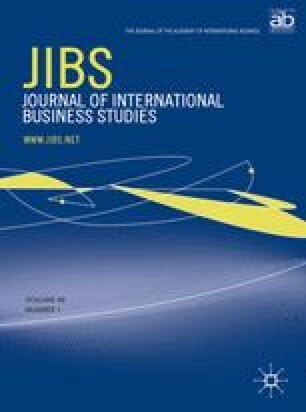 I then surveyed 204 studies published in the Journal of International Business Studies. I found that the average effect size in international business research is small, and that most published studies lack the statistical power to detect such effects reliably. I also found that many authors confuse statistical with substantive significance when interpreting their research results. These practices have likely led to unacceptably high Type II error rates and invalid inferences regarding real-world effects. By emphasizing p values over their effect size estimates, researchers are under-selling their results and settling for contributions that are less than what they really have to offer. In view of this, I offer four recommendations for improving research and reporting practices. I am grateful to Juergen Brock, Sylvie Chetty, Flora Gu, Evert Van de Vliert, Robert Wright, Consulting Editor Myles Shaver, and three anonymous JIBS referees for providing feedback and constructive criticism on earlier drafts of this paper. The research reported in this paper was supported by a Internal Research Grant provided by the Hong Kong Polytechnic University (Project 4-ZZ9V). Accepted by Myles Shaver, Consulting Editor, 25 July 2010. This paper has been with the author for three revisions. AERA. 2006. Standards for reporting on empirical social science research in AERA publications. http://www.aera.net/opportunities/?id=1850. Accessed 11 September 2008. Ellis, P. D. 2010a. Effect size FAQs. http://www.effectsizefaq.com. Accessed 2 June 2010.